Fantastic blog, great recipes and lovely pictures. But on to the recipe! I’m not going to get too in depth about the actual pasta making but if you have any questions feel free to ask, or check out the original post! Generally for pasta dough, the quantities are not necessarily going to be exact. If you need more flour, add more. Same with water, but be careful not to add too much. The dough will be soft and shaggy as it comes together, just keep kneading it till it comes together in a ball. If there is extra flour left in the bowl that’s fine, but you might want to gradually add fresh flour as you continue kneading to prevent stickiness. Don’t be afraid of adding enough flour, you won’t dry out the dough unless you add a whole lot! After 10 minutes of kneading, the dough should be soft and smooth. Cover with a bit of flour and some plastic wrap, and let rest for 30 min or so. Now you have a batch of beautifully silky pasta dough ready to go! 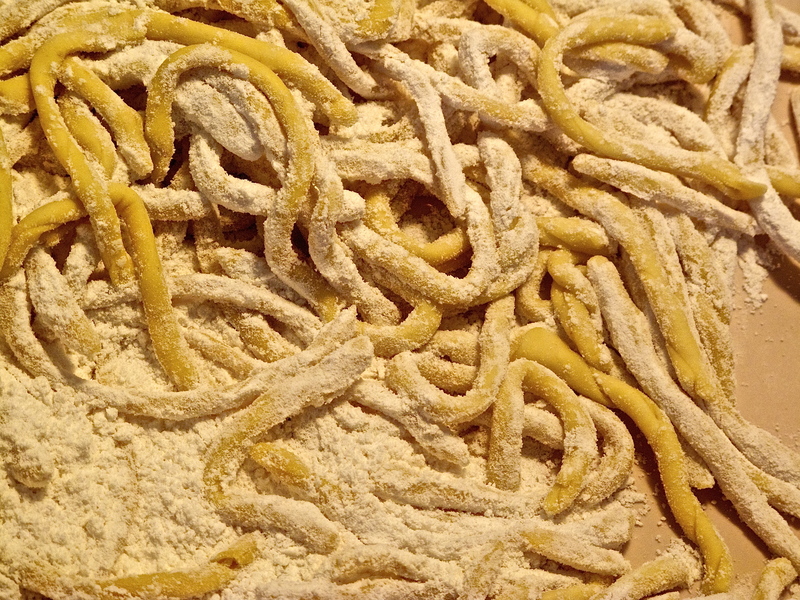 It can be shaped by hand, or used with a pasta machine (with ample flour of course). Here I’m going to show you my favorite shape at the moment. Simple but a little time consuming. Well worth it I’d say, at least on a rainy Sunday…. Ok so imagine you’re working with a bunch of delicate playdough. 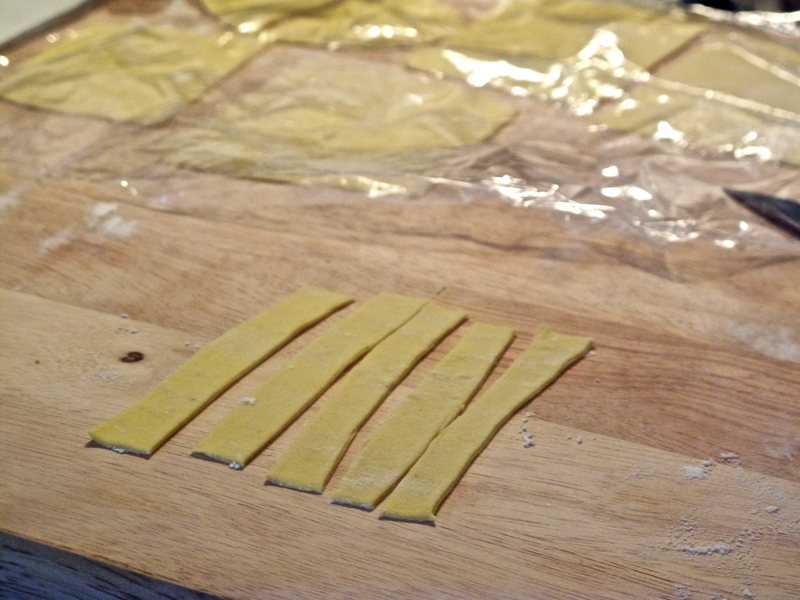 This shape is really simple, just cut the pasta into little strips and start twisting! Imagine you’re rewrapping a paper straw that’s come undone. But again really, make any shape you can image! 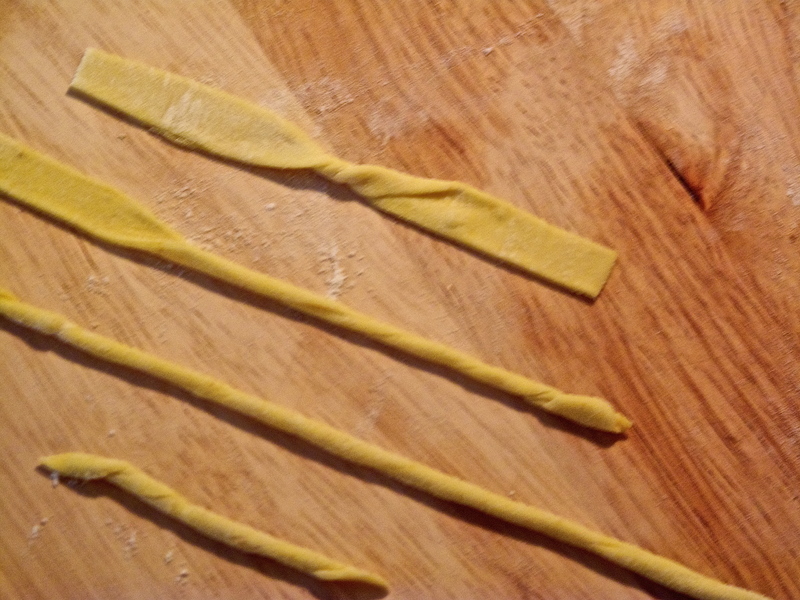 There are lots of pasta shaping tutorials online. 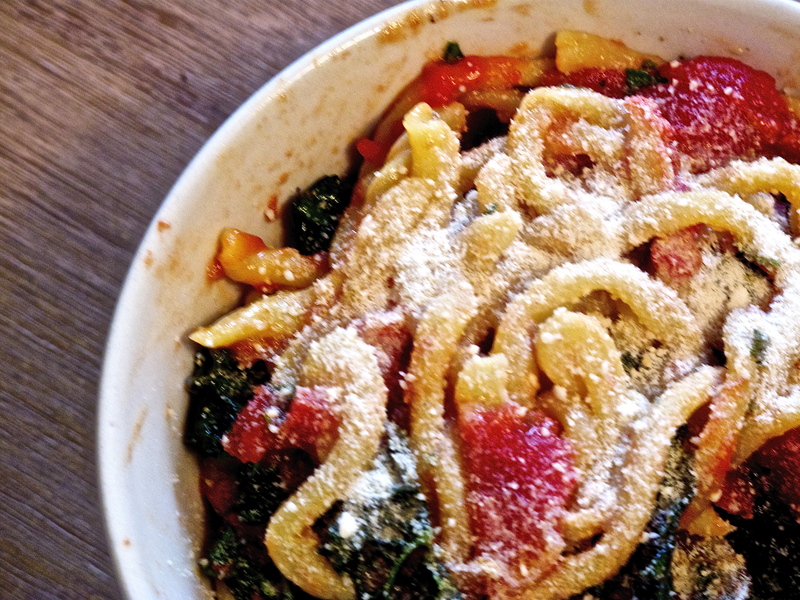 This entry was posted in Entrées and tagged easy, Fresh, Pasta, simple. Bookmark the permalink.